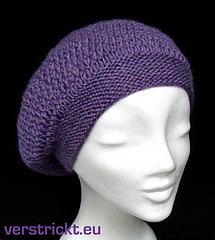 Soft and slouchy - fast and fun to knit! 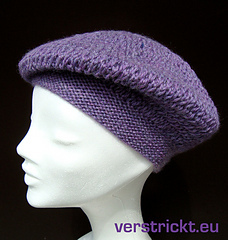 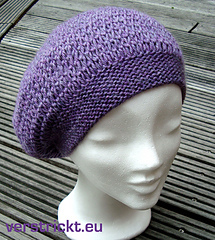 The beret has a garter stitch brim and an airy textured pattern with nearly invisible decreases. 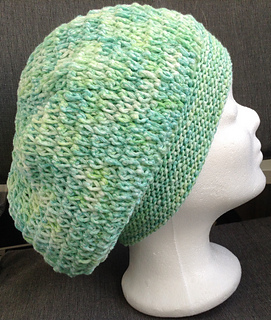 This hat can be worn backwards or sideways - try it out. 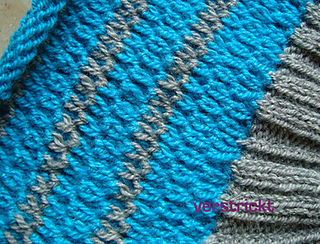 It is worked bottom up and in the round.